Realism. Art Words and Terms at Biddington's. 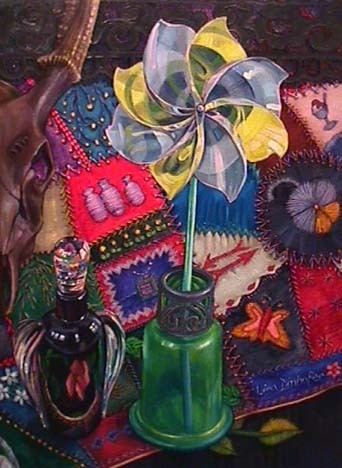 Loosely synonymous with "figuration", "representational art" and "illusionistic painting", realism is the term applied to a contemporary style of art depicting recognizable objects or people. While Realism has specific philosophical, art historical & literary roots in earlier centuries, in the 20th century this art term broadened in usage. By the second half of the century, realism (small r) came to be the accepted art term for differentiating representational works from abstract or conceptual ones. 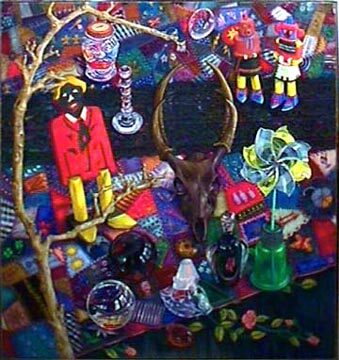 What are the sub-categories within realism? portraiture & other works with people as subjects. How can a painting in a traditional genre--such as still life--be considered contemporary art? 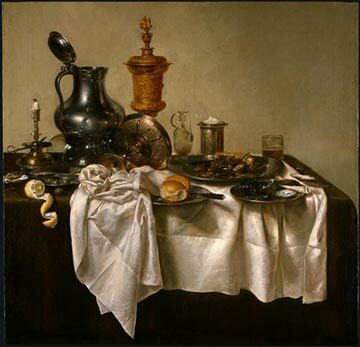 Comparing three contemporary realist still life paintings with a superb 17th century Dutch still life by Willem Claesz Heda helps to illustrate how traditional genres can produce significant new art. What makes a 21st century still life different from a 17th century still life? Disregarding the symbols and metaphors rampant in all four of these paintings, they differ greatly on a purely visual level. 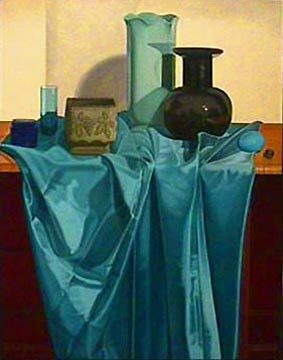 Like this Dutch painting (left), Laura Shechter's Still Life with Blue Cloth (above) respects a close color harmony. But the contemporary painting uses ultra-crisp edges, hard shadows and odd cropping to represent a strangely airless environment. The result is a work that appears coolly minimal versus the warm opulence of the Heda. Willem Claesz Heda "Banquet Piece with Mince Pie"
Like the Heda still life, Patricia Hansen's "Sunflowers" creates a more or less believable illusionistic space. But the vase, rendered with meticulous precision, contrasts uneasily with the loose and luminous flowers and background. Hansen lets Vermeer encounter Bonnard within the same painting--a freedom quite at odds with the Dutch painter's tight stylistic consistency. 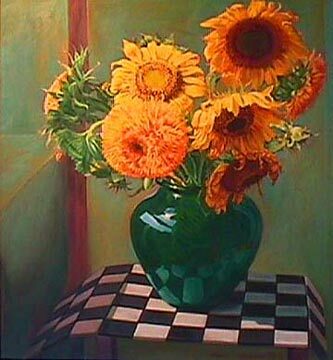 The Dutch master Heda and the contemporary paints Shechter, Hansen and Dinhofer all use the still life genre to speak clearly of their own time and their own culture. 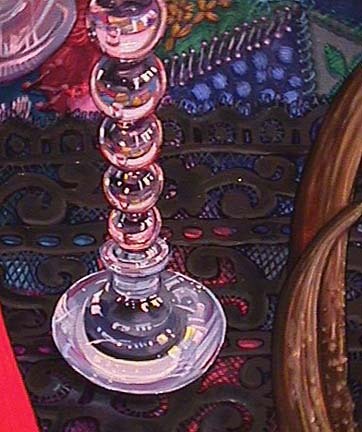 Realism remains alive because, in talented hands, it communicates in a way that nearly everyone can comprehend.